Meet The “Hellephant”: 426 Cubic Inches, 1000 Horsepower, 950 Ft/Lbs Of Torque! In Mopar lore, a 426 cubic inch Hemi-headed engine was trouble, pure and simple. It didn’t matter what body it was shoved into…from the absolutely ferocious Hemi Darts and A-body Barracudas, to the wicked Road Runners and Chargers, to the sinister E-body twins and even in pickup trucks and police vehicles, the 426 Street Hemi gained a reputation as the one Chrysler mill you absolutely did not, under any circumstances, try to mess with unless you had your best ready to fight. Leave it to Mopar to go ahead and update the 3rd gen Hemi to a similar platform. It’s been teased for a week, it’s been the subject of speculation, and now it’s here. They call it the Hellephant, a plug-and-play atomic bomb of an engine. 1,000 horsepower and 950 ft/lbs of torque…how much more, exactly, needs to be said? You could stick this engine in a 1971 Imperial LeBaron Sedan, all two and a half tons of it, and still scare the holy hell out of yourself! 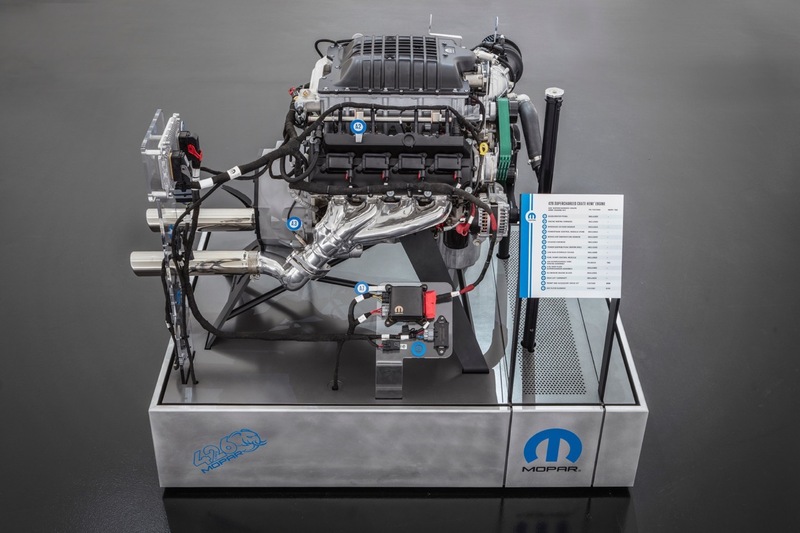 October 30, 2018 , Las Vegas – The Mopar brand is stampeding into the 2018 Specialty Equipment Market Association (SEMA) Show with a brand-new HEMI®-engine-powered beast: the “Hellephant” 426 Supercharged Mopar Crate HEMI engine, which turns the crank at a mammoth 1,000 horsepower and 950 lb.-ft. of torque. The “Hellephant” 426 Supercharged Mopar Crate HEMI engine is a Mopar-first for a 1,000-horsepower crate engine kit offered by an Original Equipment Manufacturer (OEM). The press briefing today in the Mopar exhibit at SEMA also included the unveiling of the 1968 Dodge “Super Charger” Concept, the perfect package for highlighting the “Hellephant” 426 Supercharged Crate HEMI engine assembly and kit. The “Hellephant” engine hits the magical 1,000 horsepower mark via bulked-up displacement, with 4.0 inches of stroke and bore specs at 4.125 inches. An improved supercharger with a high-efficiency rotor is mounted on the all-aluminum block, which provides huge weight savings to keep the “Hellephant” light. The all-aluminum block, used in Mopar Dodge Challenger Drag Pak race vehicles that dominated the 2018 NHRA Factory Stock Showdown class, was configured for the street in close collaboration with Mopar and engineers from the motorsports world. The engine and kit’s distinctive “Hellephant” logo provides a nod to the Mopar brand’s past and present. The logo and name call out the legendary 426 HEMI engine, first introduced in 1964 and nicknamed the “elephant” engine for its power and size, as well as the 707-horsepower Mopar “Hellcrate” Engine Kit, revealed last year at the 2017 SEMA Show. The complete engine assembly includes a water pump, flywheel, front sump oil pan, supercharger with throttle body, fuel injectors and coil packs. The first-ever 1,000 horsepower crate engine assembly offered by an OEM can be paired with the Mopar “Hellephant” 426 Supercharged Mopar Crate HEMI Engine Kit for relatively simple plug-and-play by experienced installers. The engine assembly and kit are designed for installation on pre-1976 street and off-road vehicles. Additional features of the “Hellephant” 426 Supercharged Mopar Crate HEMI engine include valve covers imported from the Dodge Challenger SRT Hellcat Redeye and valve train, valves, locks and retainers pulled from the Dodge Challenger SRT Demon. 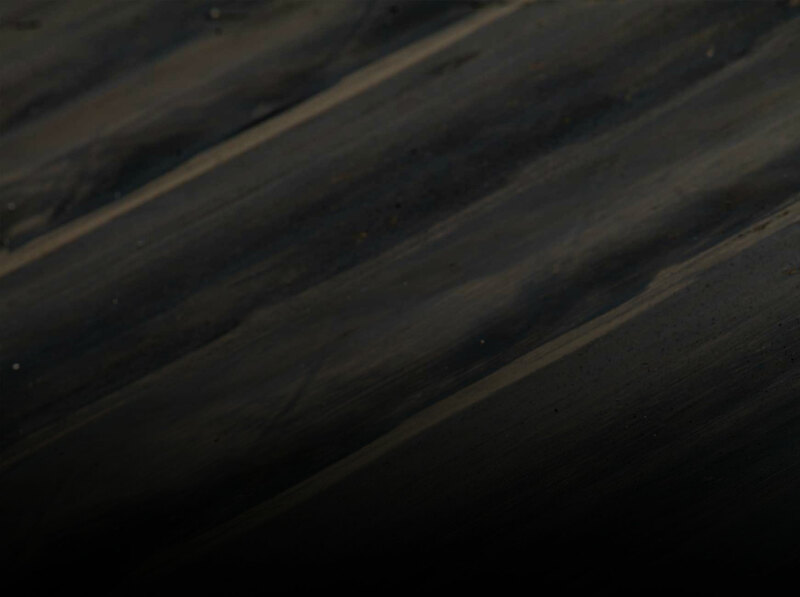 The engine build includes a special high-lift cam, as well as custom-forged pistons. 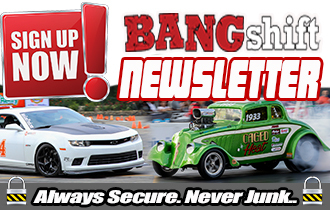 Dropping in the “Hellephant” is almost turnkey with the “Hellephant” 426 Supercharged Mopar Crate HEMI Engine Kit. The kit includes a powertrain control module (PCM), power distribution center, engine wiring harness, chassis harness, accelerator pedal, ground jumper, oxygen sensors, charge air temperature sensors, fuel pump control module and cam bus interface device. The PCM is unlocked and tuned to pump out 1,000 horsepower and 950 lb.-ft. torque. The kit ships in unique packaging, featuring the “Hellephant” logo and includes in-depth information sheets with helpful installation tips and requirements. The “Hellephant” 426 Supercharged Mopar Crate HEMI engine assembly and kit will be available in the first quarter of 2019. For more information, visit www.cratehemi.com, and follow Mopar on Twitter (@OfficialMopar) using the new #Hellephant hashtag. SEMA 2018: And Now That The Show Is Officially Open... SEMA 2018: More After-Hours Work With Some Of The Most Gorgeous Cars You Can Find! Will it outrun the electric COPO Camaro? I want to shove one in an 85 LeBaron woody convertible, Any word on pricing? I want one. The Hellcrate is in the $20K range so this has to be more. Which means I’ll never have one. Awesome – all Chrysler need to do now is design and build a supercar to out perform the world’s most expensive VW with Hellcrate power and for less than half its price! “the 50 year anniversary of the Dodge Charger” . What about the 66-67 models?